Most patients that are seen at Peak Performance are looking to live better, in less pain and generally be healthier. Weight control is important for longevity and Dr. Barton has these discussions with patients daily with regard to weight loss and getting on a sustainable plan to improve body composition. Shoulder pain often results from a combination of faulty forward shoulder posture combined with weak rotator cuff muscles. It is one of the most common complaints we get in the office. These exercises are a good starting point to stimulate the rotator cuff muscles and improve the posture. These exercises can be combined with some stretching activities to improve pectoral (chest) muscle flexibility and ultimately restore shoulder stability. What does that mean to you?….your shoulders feel better, degenerate slower and last longer. Who doesn’t want that??!! One of the most common questions we get in the office here at Peak Performance Spine & Sports Medicine is, “what should I be doing daily for my body as far as stretches?” It’s a great question. There are 5 muscle groups that should be stretched daily which influences posture and ultimately how our bodies age. These muscle groups to stretch daily are: The low back muscles, the pec’s (chest), the hamstrings, the hip flexors and the gluteals. 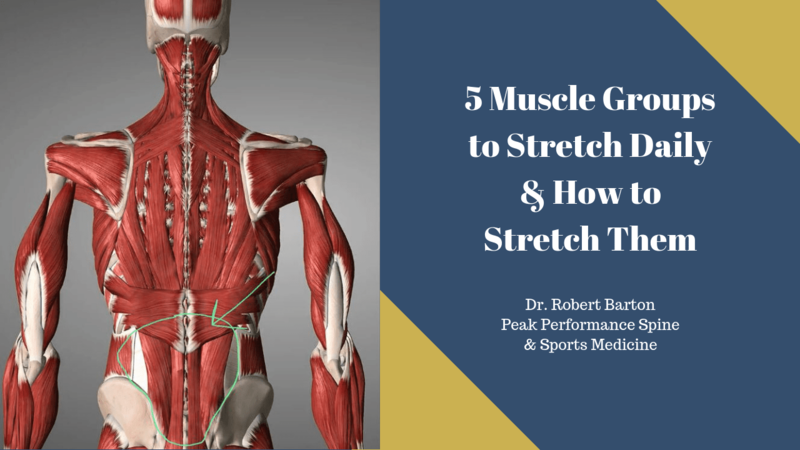 In this video, Dr. Robert Barton identifies these muscles and offers a couple different stretch options for each. 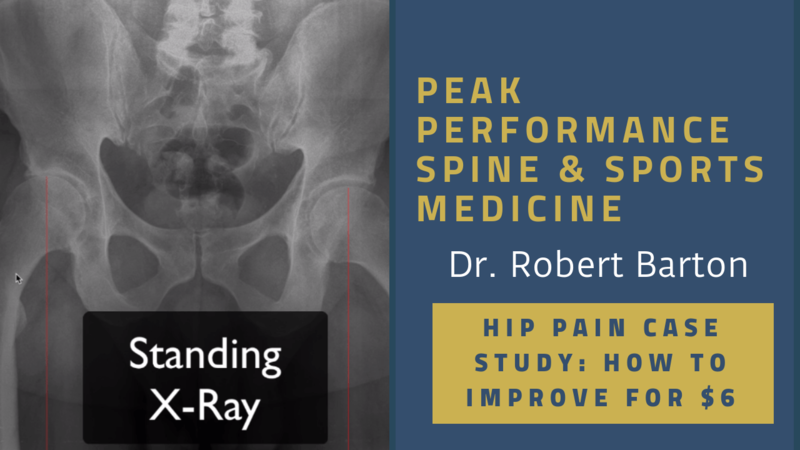 Dr. Robert Barton with Peak Performance Spine & Sports Medicine in Pasadena, TX discusses a case study where the cause of a patient’s hip pain was due to a congenital long leg on the affected side. This causes additional biomechanical stress on the long leg side and after millions of steps throughout the patient’s lifetime, this stress is likely contributed to the early wear and tear of his right hip. The initial treatment in this case was a $6.00 heal lift to correct the leg length discrepancy. He was also prescribed a stretching routine for his muscles around the hips. If you have chronic or acute pain in your back or some other joint system and are interested in knowing the cause of this pain, come see us at Peak Performance. We are the experts in discovering and treating the cause of a person’s pain. 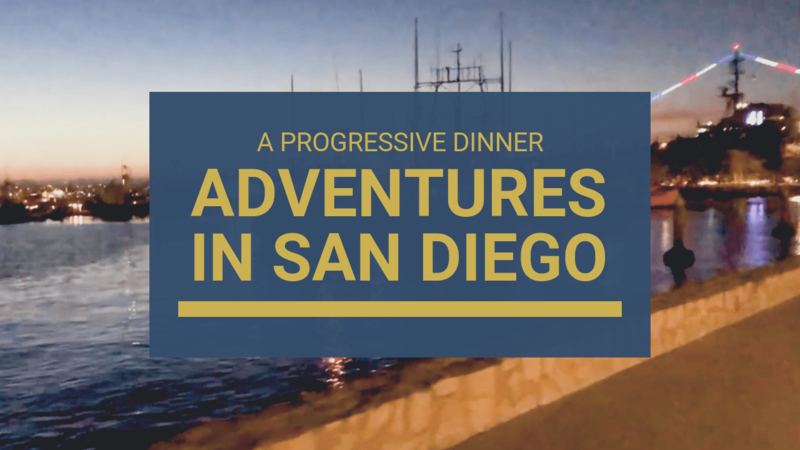 In this video, I enjoy an evening with my wife, Susan, doing a progressive dinner across San Diego, California. My wife and I used a combination of ‘Bird’ scooters and rentable bicycles to traverse the harbor area and enjoy a diverse selection of restaurants. We at Peak Performance Sports Medicine hope you live your best and are able to enjoy the opportunity for unique experiences where ever you are. Forward head posture is a common cause of neck pain for all ages. Especially with the prevalence of mobile technology devices we often focus our attention to things down and in front of our bodies. 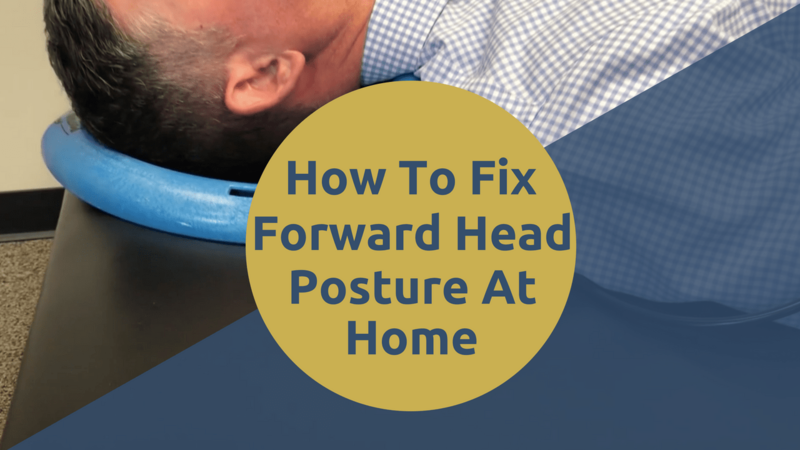 This promotes forward head posture over time and this puts stress on the cervical spine. That additional stress increases the aging of your discs and joints. It is imperative to have ways to stretch the head and neck back into the proper position and its best to be able to promote restoration of the cervical curve (lordosis). 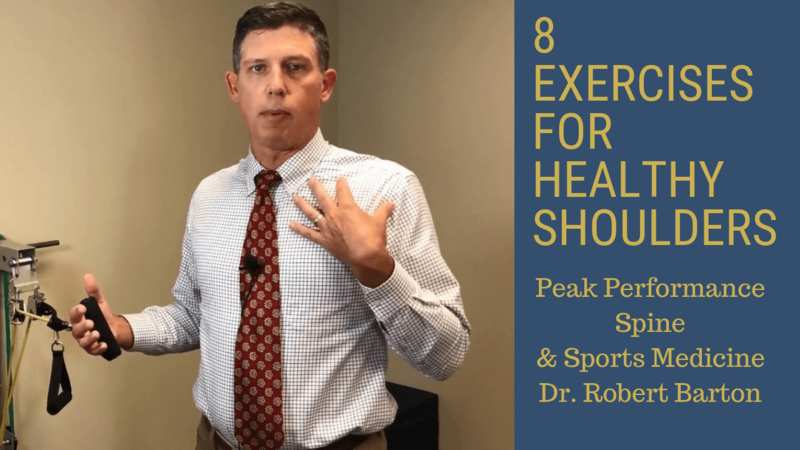 In this video, Dr. Robert Barton with Peak Performance Spine & Sports Medicine in Pasadena, Texas shows 3 ways to improve head posture at home. Just click the video below to watch, and don’t forget to subscribe! Stretching your hip flexors can be very challenging. This short Yoga routine helps to stretch the hips, the hip flexors as well as the hamstrings in an effort to promote symmetry within your pelvis. This can have tremendous impact on your low back and help to keep you even and balanced. Do each pose for 1 minute or longer and pay attention to symmetry. For the ones that have a right and left, do each one for up to 1 minute. Click the video below to watch, and don’t forget to subscribe! 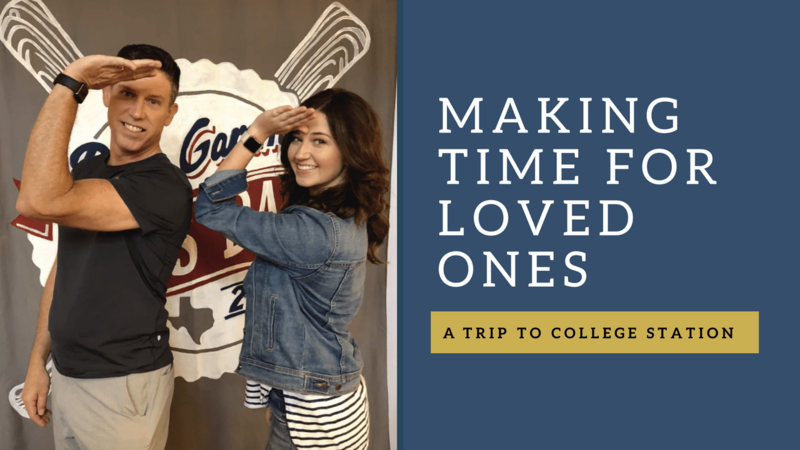 In this video I head to see my daughter Avery in College Station where she is a student at Texas A&M. Admittedly I have spent a lot of time working and love opportunities to spend time with family to make memories. Click the video below to follow along for a visit to the George Bush museum as I enjoy some R&R with my daughter, and don’t forget to subscribe! Forward shoulder posture is a common cause of trapezius (shoulder) pain as well as chronic neck pain. Most importantly, forward shoulder posture is almost always accompanied by forward head posture. Forward head posture puts additional stress on the cervical discs and joint. This can cause early degeneration and of course, pain. This video shows how to assess for forward shoulder posture as well as 2 ways to stretch if you determine you have forward shoulder posture. This can help improve neck pain, shoulder pain, headaches and most importantly preserve your neck from early degenerative changes.